AVS Industrial and Construction Security Systems. AVS Security Is a pioneer for implementing larger video and integrated security systems for Industrial and Construction projects in BC. We properly plan out using AutoCad or sketch drawings, properly specify and prep correct materials, and order well ahead of needed time. Security Systems can easily be overlooked so AVS works closely with Architects, Engineers, General contractors and Sub-trades for proper preparation. AVS was the original proponent of IP video based systems and accountable video retrieval. 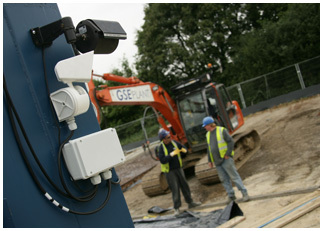 Construction site security camera kits are regularly installed during the projects to protect against construction materials loss and personnel issues. Our Thermal imaging alarm system is insurance approved. Reduce false alarms by using our remote verification service where we look in at your site to validate the alarm. We can even reset the alarm if determined to be false. Saving your personnel valuable response time. Industrial Systems require methodical and creative design, ensuring no interference and watching cabling distance restrictions. Does your facility require plenum rated cabling? Trust AVS to know from experience and keeping up-to-date with electrical and fire codes. We provide security systems for some of the largest buildings in the Okanagan such as Airplane Hangars and large multi-site facilities requiring separate security networks. We run new complete networks to keep security separate from your LAN. 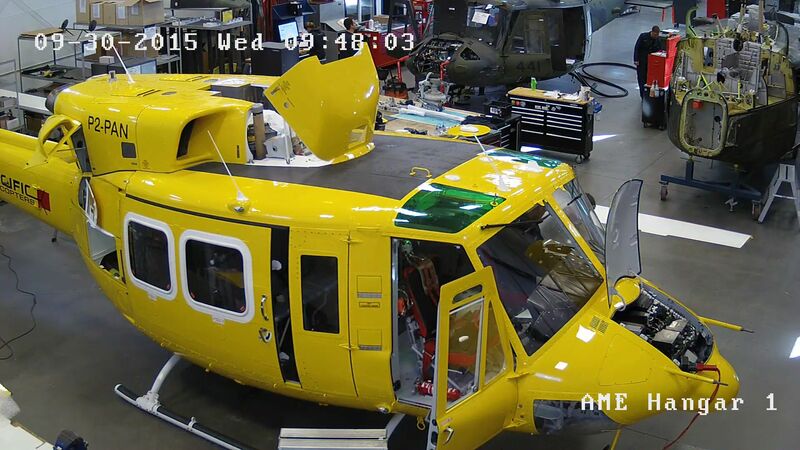 Actual AVS Surveillance Camera screenshot using a 3MP mini dome IP camera.